The annual Territory Culinary Challenge gets under way in April with chefs from some of Darwin’s top restaurants tempting diners with new cuisine from local ingredients. 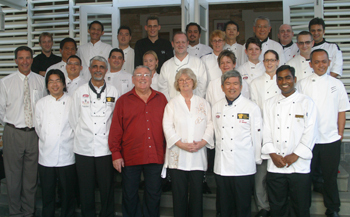 The Challenge is organised by Charles Darwin University’s cookery lecturer T.Y. 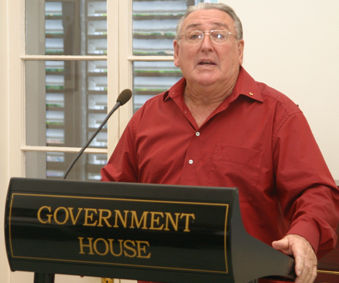 Lee, who is also president of the NT chapter of the Australian Culinary Federation. This year 13 restaurants have entered the competition, which will see chefs offering special Culinary Challenge menus designed not only for diners but to impress the panel of judges. Over the month of April the restaurants will create dishes with local ingredients such as camel, prawns, buffalo, snapper and fruit and vegetables. Prizes will be awarded in each category for preparation, taste and value-for-money, with the overall winner announced at a gala dinner at SkyCity Darwin on June 4. T.Y. Lee says the aim of the Challenge is to showcase local produce and encourage the creativity of chefs from Darwin’s leading restaurants. ‘With the hospitality industry’s rapid growth throughout the Territory, this latest competition endeavours to not only challenge the chefs to create cuisine with uniquely Territorian ingredients, but to raise the profile of the industry,’ he says. A panel of anonymous judges drawn from the hospitality industry and food critics will visit each restaurant and sample the cuisine to decide the winners. Those taking part are Ceecea’s Restaurant (Trailer Boat Club), Essence (Airport Resort), Evoo (SkyCity), Garam Masala (Darwin Central Hotel), Hanuman Darwin, Rooftop Restaurant (Quality Darwin Frontier Hotel), Mediterranean Restaurant (Palmerston), Tracy Village, Virginia Tavern, Waterfront Bistro, Wisdom Bar and Café, Yots (Cullen Bay), Zest (Novotel). CDU, the Northern Territory Seafood Council and the Central Australian Camel Industry are among the sponsors.